﻿ o2 News Burst | not tom. 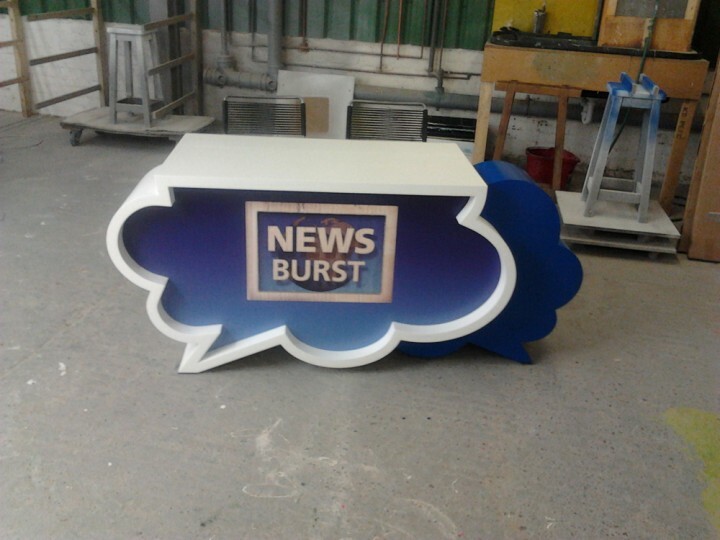 VCCP briefed Not Tom to create a news desk that reflected the brand of their client O2 and the branding of their online broadcast series: ‘News Burst’. Our remit was to design and build them a portable, light-weight news desk to suit their continually changing set and the brand requirements. This was achieved with a hollow, monocoque construction and a collapsable desk top. The front graphic panel is removable to allow the imagery to be replaced as appropriate.